For over 50 years Nilodor has been helping businesses to keep their establishments fresh and sanitary. 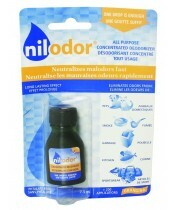 Nilodor's unique proprietary odor neutralizer is formulated into each product to effectively control and eliminate odors. In their 50 years, they have not only learned how to manufacture industry leading cleaning products, they have become experts in using them to solve the problems for which they were created.